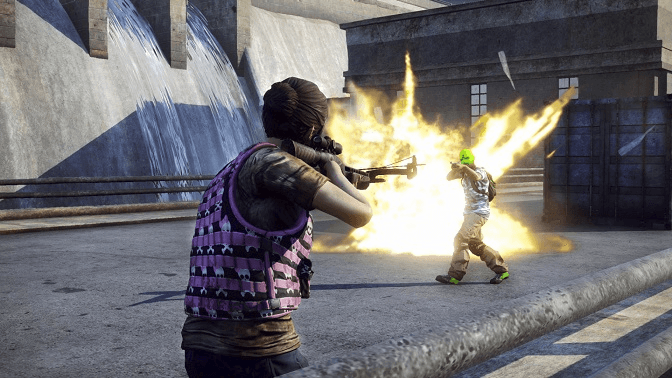 Stating that the decision was made to support both the Survival and Battle Royale aspects of the game, Daybreak confirmed that H1Z1 will become two titles as of February 17, 2016. H1Z1: Just Survive will focus on the open-world zombie survival experience, while H1Z1: King of the Kill (KotK) will focus on Battle Royale and other fight-to-the-death game modes. King of the Kill will be brought out of Early Access this summer. Daybreak also confirmed in its announcement FAQ that it has no plans to make either H1Z1 a free-to-play title.